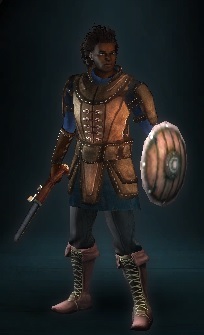 Modified all guns and crossbows. Compatible with v3.7.0.1318. 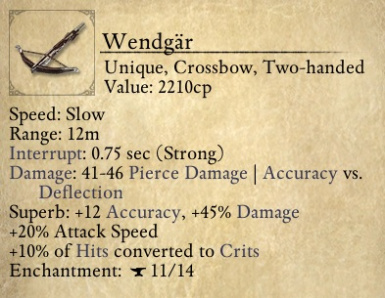 Ranged nerfed for flavor, because a blunderbuss shouldn't be effective at longer distances. All pistols are now a primary weapon, meaning you can equip a melee weapon or shield in the off-hand slot. 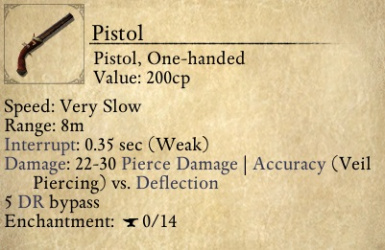 ﻿These next two pistols were unique only by name and model, now have unique characteristics! Now fires 2 projectiles simultaneously, at 18-26 base damage. 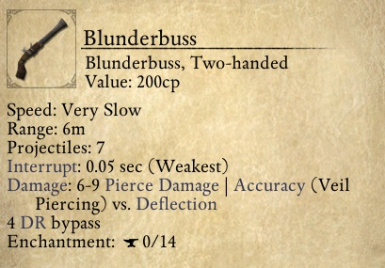 Note, description in game does not reflect 2 projectile change. ﻿Now shoots twice before reloading, similar to Twin Sting crossbow. Note, description in game does not reflect this change. 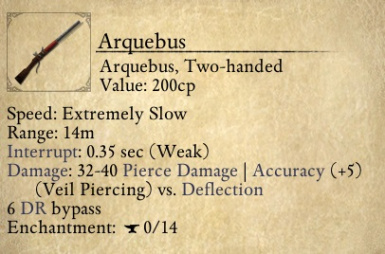 Maybe the +5 accuracy is overboard but there aren't any really OP arquebus in the game to give to your heavy back line hitters. The best arquebus in the game is a ranged support weapon at best. Crossbows don't do anything fancy in this game, don't have high damage output, and the reload time was too slow to justify using in all situations. I wanted arbalests to retain the -.25% crit dmg modifier but I gave them quite high minimum damage to compensate. 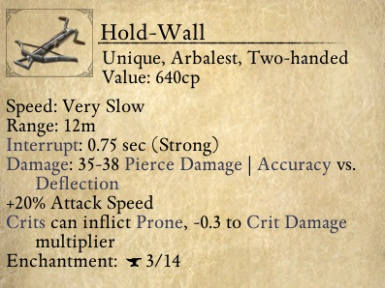 This gives the arbalest a very predictable damage profile for your more supportive ranged party members, which i find to be quite refreshing.